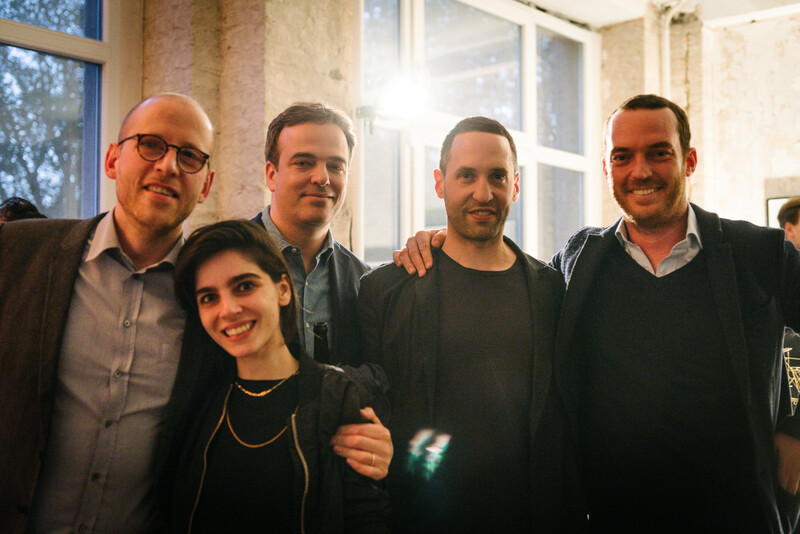 Both Vancouver-based Creative Director Omer Arbel and German Gallerist Johann König have chosen Berlin, with its wealth of unconventional spaces, as the lasting home of their exhibitions. Most recently, they have also revealed two uniquely converted spaces. Omer cultivates the vision of the contemporary design and manufacturing company Bocci. His artistic direction has seen Bocci’s ambient and sculptural lighting viewed as art forms in their own right and have been exhibited at the likes of London’s Victoria and Albert Museum. 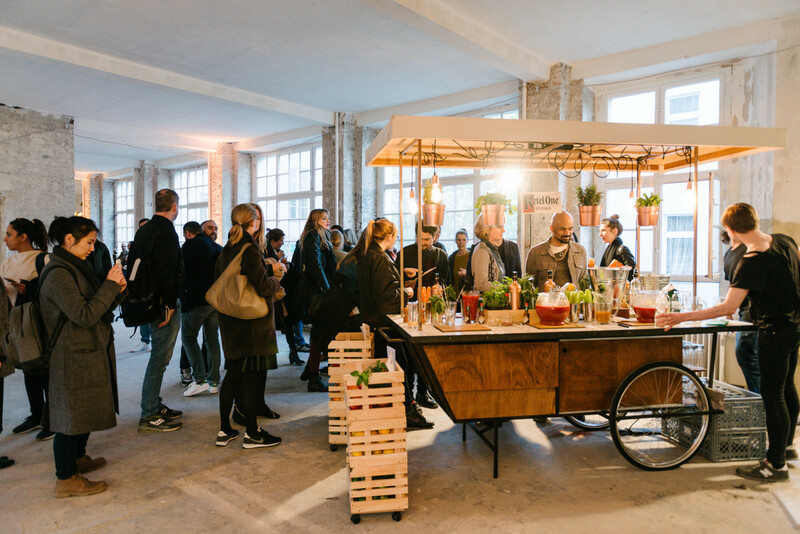 His latest endeavor sees the unveiling of a unique showroom in a 19th century Charlottenburg courthouse. Meanwhile, Johann König is a stalwart of Berlin’s contemporary art scene, and the man behind König Galerie in Kreuzberg. 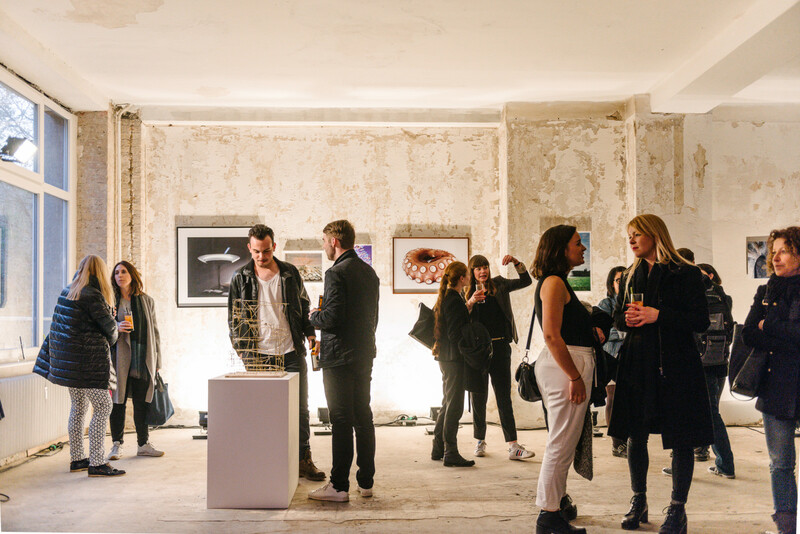 In 2015, the space moved to Brutalist Church complex, St Agnes, and was adapted to befit a contemporary gallery by Berlin architect Arno Brandlhuber. 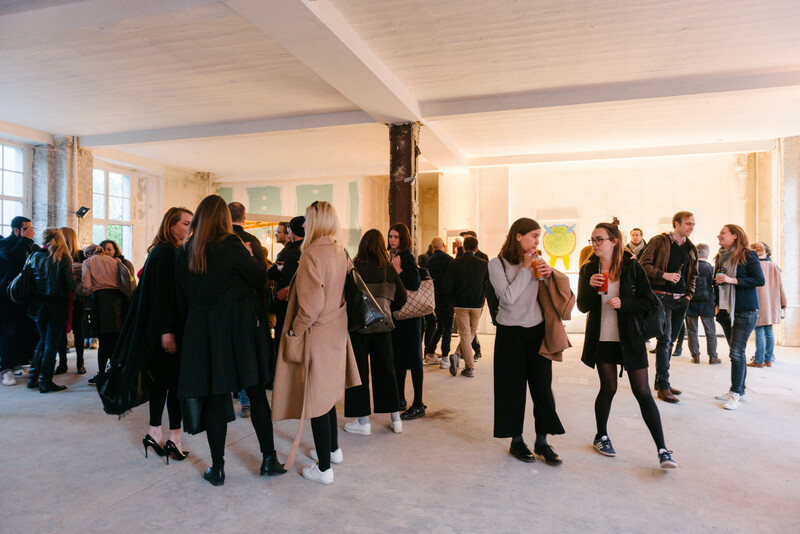 To celebrate, FvF brought the two together for a one-off art event: part exhibition, part get-together, it featured an installation piece by Bocci and a selection of works curated by Johann, including artists Alicja Kwade and Jeppe Hein. A rare observation into the pair at work in a space, we gleaned personal insight into what motivates and inspires them in the city of Berlin. Omer explains that Bocci is the laboratory and their showroom is the testing ground. Bocci’s ambitious designs put them in a unique situation: unable to find suitable manufacturers for their designs, they were forced to produce for themselves in their Vancouver studio. For Omer, it’s this impetus that has given the brand its experimental character. “The thing that unites all the projects in the space is the approach,” he says as he walks us through the maze of rooms, elaborating Bocci’s theoretical base.“The idea of the practice is that we perform these experiments: they are abstract, there’s a reliance on the intrinsic qualities of materials rather than our own inspiration. What we then hope to achieve is to find what I call a ‘discovery’ and that might be any number of things—we impose very little on the material, we try to encourage it to do whatever it wants. Then, there are layers of pragmatism, used to bring it into a place where it’s actually performing some kind of task.” Though, not all designs reach this point: some are free explorations, or ‘research’ as he likes to call them, and some are adapted into architectural projects, like a novel study into re-understanding concrete. Each of Omer’s works are numbered in order of idea—though their chronology is decidedly arcane: “There’s 73 which is the newest one, but the next product will be 44.” It’s iteration 73.117 that is chosen for the FvF event featuring Bocci and König Galerie: a mass of pillowy forms that hang from a tangle of cords. 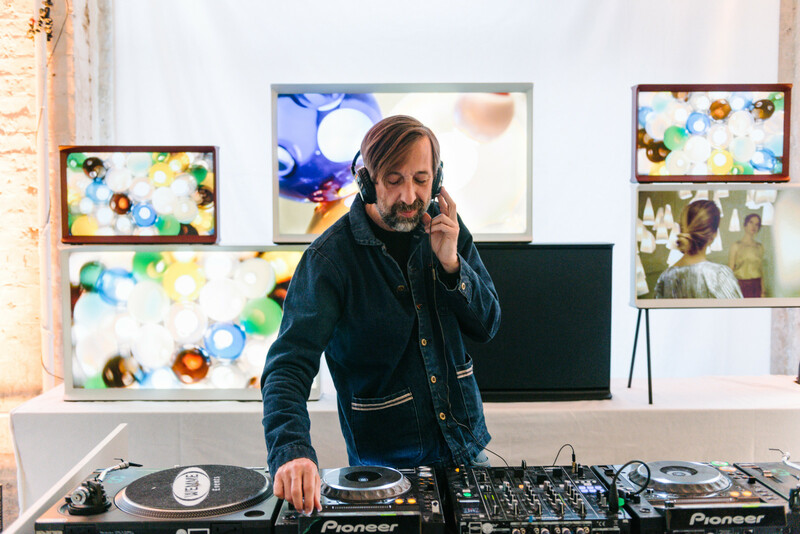 “I always try to place as many units as possible into a void that’s usually not inhabited and that makes the experience of ambient light very tangible,” he explains. As we stand underneath the piece, Omer gives a full, gestural description of the process: “For this one, the so-called discovery is that you can blow glass into this high heat-resistant fabric made of ceramics, so you get something magical because you create a form that you associate with upholstery—something soft that you associate with textiles—with the optics of glass.” It’s reassuring to see Omer handle one of the pieces, and a welcome invitation to touch the surprisingly weighty glass pillows comes with it. “See, they’re actually quite heavy. So for this one you’re basically blowing into this pillow of fabric and then you have to stand on top of it and blow hot glass into it to get it like this.” Like all of Bocci’s lighting designs, there’s no default setting—they can be dimmed and take on different characters: more sculptural when off and emitting an ambient glow when on, an arc we see in full as it’s installed and lit up for the FvF event. In Berlin, gallerist and art collector Johann König doesn’t need much introduction—the wunderkind who at 21 years old founded his own gallery before even finishing school—though at 36 he’s probably tired of this moniker. 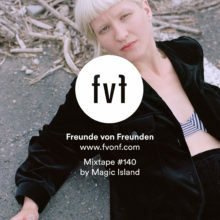 Johann toyed with context when curating the selection for the FvF event. First of all, he let himself be directed by the space, without overthinking it. 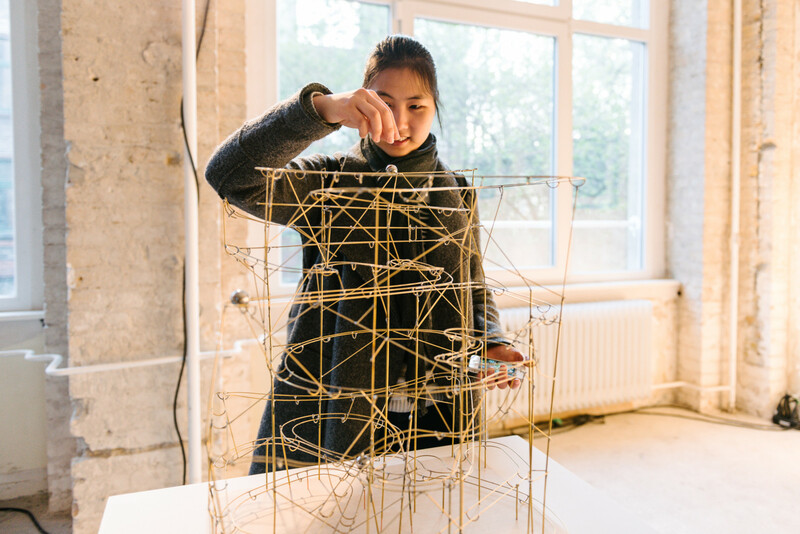 “The selection was relatively spontaneous and because of that it was also a lot of fun.” It featured an international cohort of artists, many born overseas, who have based themselves in Berlin. The range of works was media-rich including a trio of glow-in-the-dark vinyl cutouts by Vancouver-born Jeremy Shaw and Austrian Kiki Kogelnik’s 1960s silkscreen print ‘Moon Baby’—and from his close friends and collaborators Alicja Kwade and Jeppe Hein came an eerie, luminous print and interactive wire model. 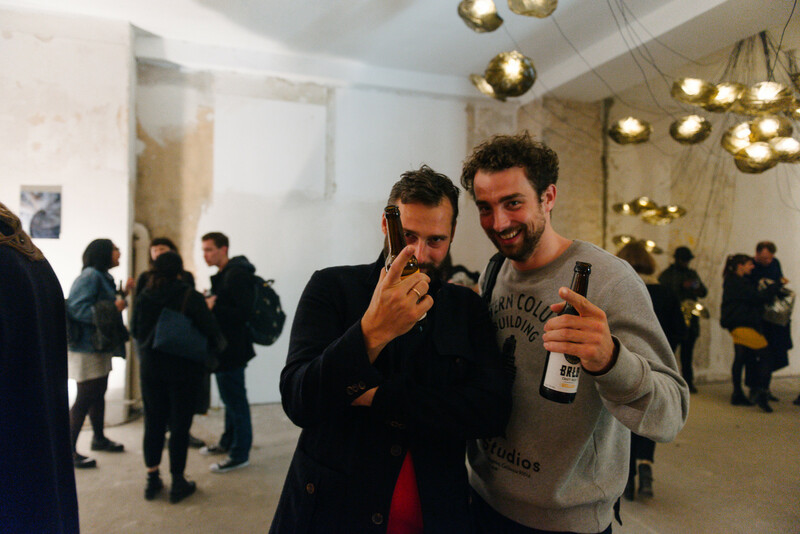 Thanks, Omer and Johann, for coming together and presenting your works to the FvF community. 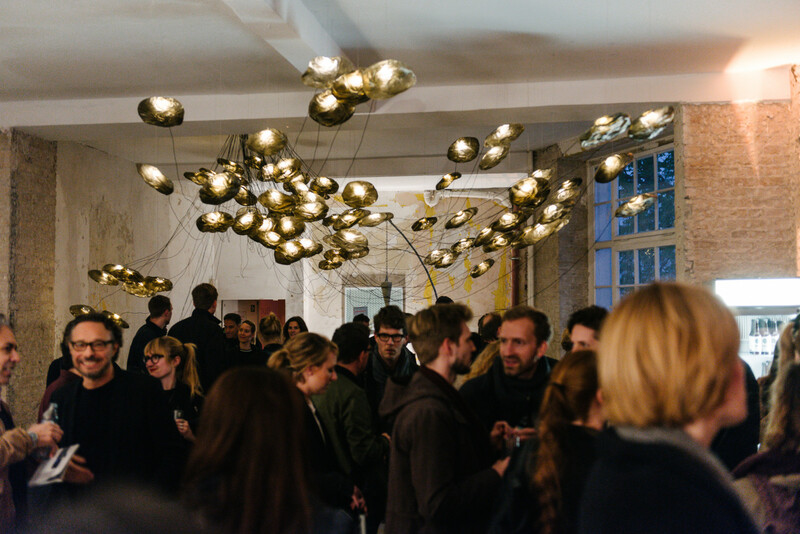 To all those in Berlin, be sure to visit Bocci 79 and König Galerie for yourselves. 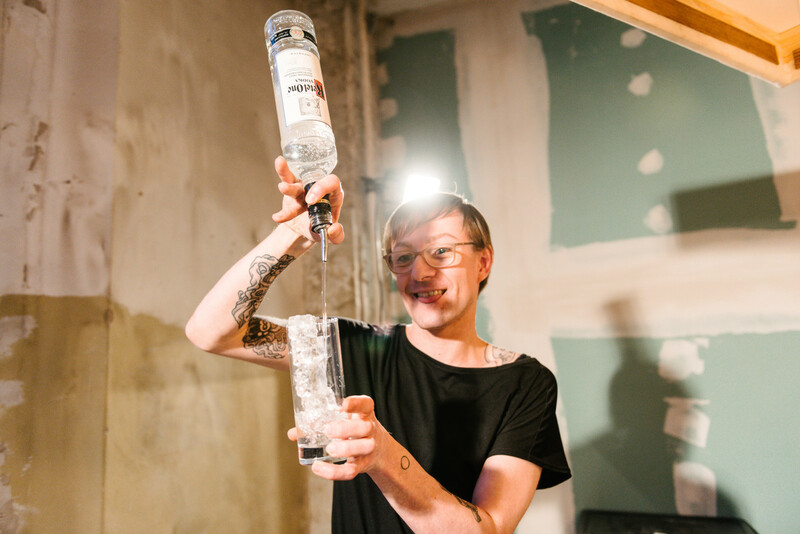 The FvF event featuring Bocci and König Galerie would not have been possible without the support of our friends at Aesop, Vöslauer, Ketel One, and BRLO. The SerifTV is designed by Ronan and Erwan Bouroullec inspired by Samsung.